High-quality keyboard dust cover for CASIO Ctk 2400. Available in Microfibre, Polyester or Synthetic Leather. High-quality keyboard dust cover for CASIO At 3. Available in Microfibre, Polyester or Synthetic Leather. High-quality keyboard dust cover for CASIO At 5. Available in Microfibre, Polyester or Synthetic Leather. High-quality keyboard dust cover for CASIO Cdp 100. Available in Microfibre, Polyester or Synthetic Leather. High-quality keyboard dust cover for CASIO Cdp 120. Available in Microfibre, Polyester or Synthetic Leather. 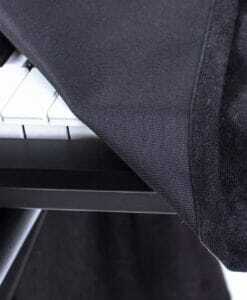 High-quality keyboard dust cover for CASIO Cdp 130. Available in Microfibre, Polyester or Synthetic Leather. High-quality keyboard dust cover for CASIO Cdp 200 R. Available in Microfibre, Polyester or Synthetic Leather. High-quality keyboard dust cover for CASIO Ctk 1100. Available in Microfibre, Polyester or Synthetic Leather. High-quality keyboard dust cover for CASIO Ctk 1300 K 3. Available in Microfibre, Polyester or Synthetic Leather. High-quality keyboard dust cover for CASIO Ctk 1300. Available in Microfibre, Polyester or Synthetic Leather. 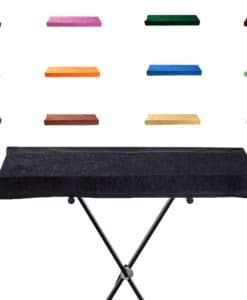 High-quality keyboard dust cover for CASIO Ctk 240. Available in Microfibre, Polyester or Synthetic Leather. High-quality keyboard dust cover for CASIO Ctk 3400 Sk. Available in Microfibre, Polyester or Synthetic Leather. High-quality keyboard dust cover for CASIO Ctk 4000. Available in Microfibre, Polyester or Synthetic Leather. High-quality keyboard dust cover for CASIO Ctk 4400. Available in Microfibre, Polyester or Synthetic Leather. High-quality keyboard dust cover for CASIO Ctk 5000. Available in Microfibre, Polyester or Synthetic Leather. High-quality keyboard dust cover for CASIO Ctk 550. Available in Microfibre, Polyester or Synthetic Leather. High-quality keyboard dust cover for CASIO Ctk 6000. Available in Microfibre, Polyester or Synthetic Leather. High-quality keyboard dust cover for CASIO Ctk 6200. Available in Microfibre, Polyester or Synthetic Leather. High-quality keyboard dust cover for CASIO Ctk 6250. Available in Microfibre, Polyester or Synthetic Leather. High-quality keyboard dust cover for CASIO Ctk 6500. Available in Microfibre, Polyester or Synthetic Leather. High-quality keyboard dust cover for CASIO Ctk 6600. Available in Microfibre, Polyester or Synthetic Leather. High-quality keyboard dust cover for CASIO Ctk 680. Available in Microfibre, Polyester or Synthetic Leather. High-quality keyboard dust cover for CASIO Ctk 7000. Available in Microfibre, Polyester or Synthetic Leather. High-quality keyboard dust cover for CASIO Ctk 7200. Available in Microfibre, Polyester or Synthetic Leather. High-quality keyboard dust cover for CASIO Ctk 750. Available in Microfibre, Polyester or Synthetic Leather. High-quality keyboard dust cover for CASIO Ctk 7500. Available in Microfibre, Polyester or Synthetic Leather. High-quality keyboard dust cover for CASIO Ctk 7600. Available in Microfibre, Polyester or Synthetic Leather. High-quality keyboard dust cover for CASIO Ctx 680. Available in Microfibre, Polyester or Synthetic Leather. High-quality keyboard dust cover for CASIO Lk 120. Available in Microfibre, Polyester or Synthetic Leather. High-quality keyboard dust cover for CASIO Lk 127. Available in Microfibre, Polyester or Synthetic Leather. High-quality keyboard dust cover for CASIO Lk 130 K 5. Available in Microfibre, Polyester or Synthetic Leather.